Male Transformation Of The Week - Matthew Fontana. Matthew started down a road of misery after injuring his rotator cuff and found himself gaining a lot of weight. 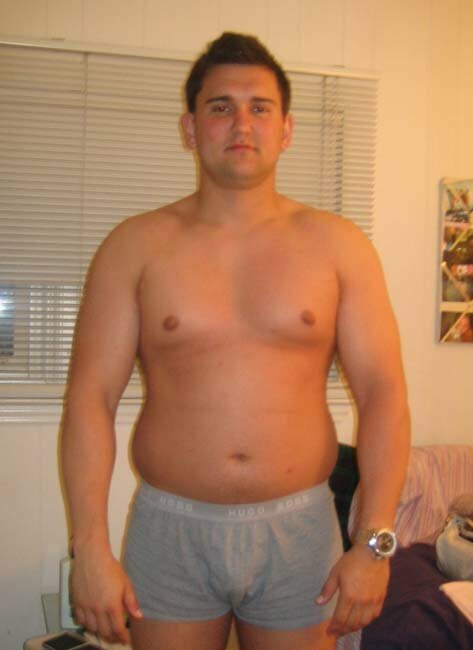 Learn how he changed everything and started a strict training program and lost 70 pounds! In May of 2006 I suffered a minor partial tear in my rotator cuff. This limited my training significantly. I had the option of either surgery or physical therapy to hopefully heal the tear. I wisely opted for the physical therapy, which lasted about 3 months. During these 3 months I became unhappy with not being able to train and began to gain A LOT of weight. Before I knew it, I was around 50 pounds over my ideal weight. I became extremely unhappy and all the simple things in life just did not seem worthwhile anymore, and it was mainly a result of me being so overweight. So I decided to start the new year off on an extreme diet and change my life for the better. The leanest I have ever been was around 195 pounds, at approximately 11-12% body fat. My main goal was to be under 9% body fat, taking my training and dieting to a level I have never seen before. 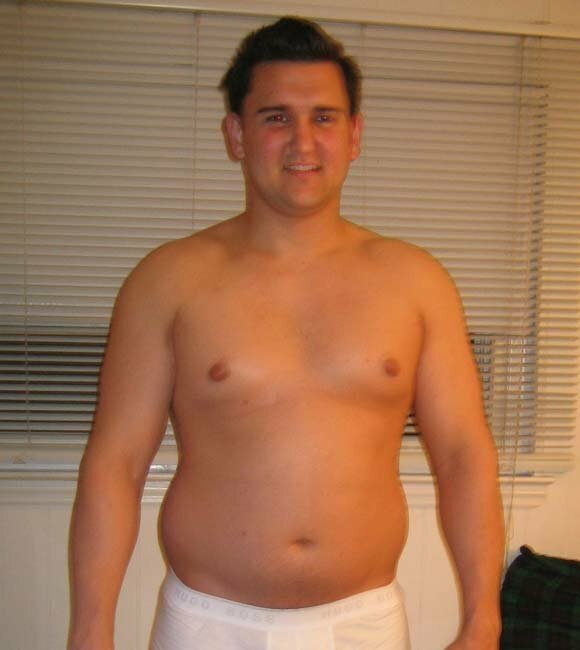 On January 1, 2007 I decided to start a diet that I would stick to 100% and gradually take 2-2.5 pounds of fat off my body every week. I knew by counting my calories, fat, carbs, protein, and sodium and eating the same things every day, I would be able to adjust my diet accordingly if I saw my weight not changing, or changing too quickly. I realized it comes down to numbers, if you know you're body weight, you can easily calculate the amount of calories you intake to lose a certain number of pounds per week, that's the easy part. Sticking to it was the hard part. My diet was exactly the same 7 days per week, with a cheat meal usually consisting of anything I felt like eating on Saturday night. It always seemed to find its way in the form of a bacon cheeseburger with cheese fries, chicken fingers, and ice cream. This is what I like to call the "keep my sanity meal." My fluid intake consisted of 1.5 Gallons of water and water ONLY daily. High Intensity CARDIO every morning on an empty stomach. Low Intensity Cardio immediately after training. Hour and a half of circuit training ranging from ball crunches, to knee raises, to oblique cable crunches, and every ab machine in between. Click Here For A Printable Log Of Shoulders. Click Here For A Printable Log Of Biceps. Click Here For A Printable Log Of Triceps. My main suggestions I have for anyone trying to really transform their body, is to get organized and stick to a plan. Create a diet that you can commit to 100%, and keep it consistent. People close to me in my life knew that if they called me at the 8 times I have listed in my diet plan, that I would be eating, there was no other way around it. If you called me at 7:21 a.m. I would have been one minute into my morning cardio. If you called me at 9:02 p.m, I would have just finished my protein shake. I'm a firm believer that if you do the same exact thing day in and day out, it is the ONLY way to know where to make changes if you see your transformation lagging. If you have an inconsistent diet and training regimen you will never be able to tell where you are making the mistakes in order to fully achieve your goals. Give yourself one cheat meal on the weekends and use that to resist your cravings during the week. Knowing you were perfect the whole week will make that meal taste so much better. Cardio on an empty stomach in the morning may be the most terrible, painful and annoying thing in the world, but the bottom line is, IT WORKS! In order to not burn into any muscle, take lots of anti-catabolic supplements, and you will surely see the fat you thought you could never get rid of, melt away.